McKINNEY, Texas (March 18, 2019) – The McKinney Economic Development Corporation (MEDC) is proud to announce McKinney-based SRS Distribution Inc. will build a new corporate campus at Hub 121, a 22-acre retail, restaurant, and entertainment development at the northwest corner of the Sam Rayburn Tollway and Alma Road. SRS is one of the largest and fastest growing building products distributors in the United States. Construction is slated to begin this spring. McKinney, Texas, is unique by nature. As one of the fastest growing cities in America, McKinney has a current population of nearly 190,000 and serves as the county seat for Collin County. McKinney offers award-winning schools, a vibrant historic downtown and cultural district, diverse housing options, a trendy culinary scene, and a uniquely beautiful natural setting with rolling hills and lush trees. The city is home to the top-rated McKinney National Airport and serves as the headquarters to many Fortune 500 companies and a burgeoning set of cutting-edge technology companies. 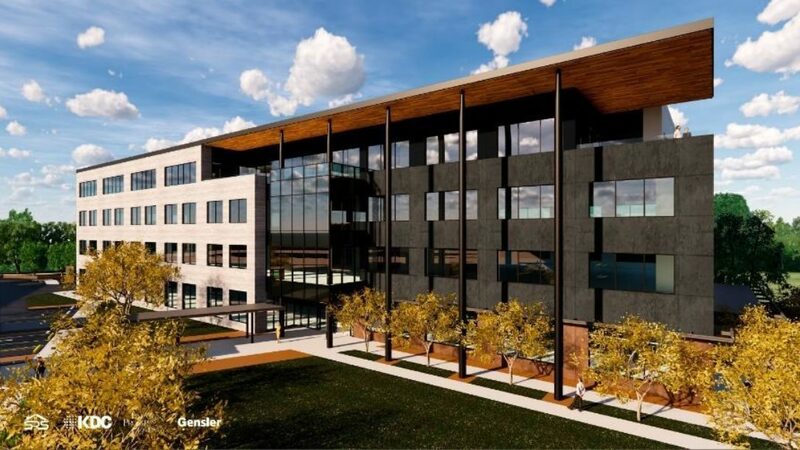 McKinney offers the perfect mix for successful business development: a highly educated workforce, availability of land for expansion, convenient location to the DFW area and a nationally-acclaimed quality of life. To learn more about the City of McKinney, visit www.mckinneytexas.org. KDC is a leading corporate build-to-suit development and investment firm for companies across the country. Within the last 30 years, KDC has produced approximately 33 million square feet valued at over $9 billion. KDC addresses the future of Corporate America by developing walkable, mixed-use urban environments anchored by notable clients, and specializes in datacenter and broadcast studio build-to-suits. KDC's portfolio includes developments for FedEx, J.P Morgan Chase, Liberty Mutual, Raytheon, State Farm (Dallas and Atlanta offices), and Toyota North America. KDC is headquartered in Dallas and is supported by a national team with offices in Atlanta and Charlotte, N.C. For more information, please visit www.kdc.com.